UpShot Omaha offers different services in all types of industries to provide the best end product for their customers. Each project is unique so contact us via phone or email to get a free estimate. This packages includes a one and a half minute edited video showcasing all of the gorgeous aspects of a home from an aerial point of view. This packages includes a two minute edited video showcasing the indoor and outdoor features of the home. We shoot the aerial footage and the client provides the indoor photos or videos they wish to have included in the final product. Selling a large piece of real estate? An aerial video brings that property to life for your potential buyers. This package includes a one minute edited video showcasing the unique aspects of the property. We enjoy working with companies around Omaha to produce promotional videos featuring aerial aspects that other media production companies might not be able to offer. 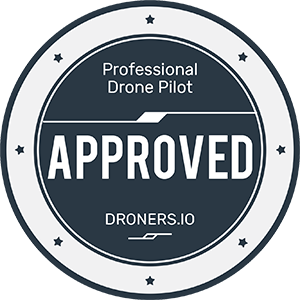 We can provide full editing services or simple drone footage delivery. We also enjoy filming your events from the sky. Email or call us to get an estimate for your next project. Social media drives a lot of attention to your listing. UpShot offers the ability to leverage Facebook targeted advertising to attract more eyes to your video. UpShot will use an advertising budget set by the client to target individuals that are interested in homes in the Omaha area. This insures the video will be seen by thousands of individuals in the Omaha market. Daily analytics will be sent to the client to ensure full transparency. Pricing starts at $50. Not seeing a package that works for you? Email us at contact@upshotomaha.com or call us (402)807-3178 and we can work with you to create a package that fits your needs.